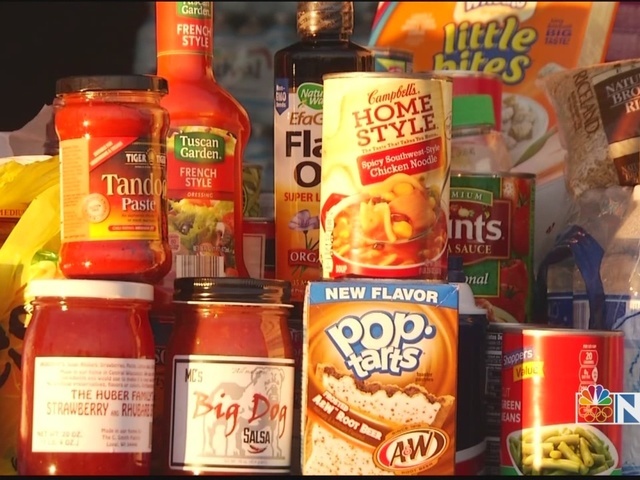 NBC26 Cares Food Drive: Thank you NE Wisconsin! We asked for your support, and you delivered! For more than 18 hours on Wednesday, people stopped by Lambeau Field to help us stuff a Schneider National truck to feed the hungry in our community. Before the sun even rose over the historic stadium, our NBC26 26 Today team was broadcasting live from the parking lot. "We have an empty truck here, and our goal is to fill this up in one day," said reporter Brooke Hafs. As soon as word got out, the donations began rolling in. Judy Buresh of De Pere cleaned out her cupboard to help. "I had cans of food that I wasn't using, and I thought this was the best place to take them to." NBC26 shared photos throughout the day on social media using #NBC26FoodDrive to recognize and thank our generous donors. 11-year-old Boone Krist and his 12-year-old cousin, Cooper Herr, of Ashwaubenon dropped off several bags of groceries. "We just wanted to give back to people who don't have what we have and help everybody out," Krist explained. Herr added, "I feel like I am kind of part of a society team or something that helps out." Festival Foods donated a van full of water during the event. The donated food items and personal hygiene products will stock the shelves at Manna for Life Ministries which is NBC26's former 3 Degree Guarantee partner. Leaders say the summer months are especially difficult when low income children can't eat free or reduced lunch at school. "Mom and dad are at work, so the kids are kind of falling through the cracks," explained Manna for Life's Chad Clements. The non-profit organization serves 300 people a week. Wednesday's donations will help struggling families in Brown County. "It's kind of a no brainer. If you've got ample why not share the good stuff. It's just a good feeling thing," said Paul Arzeni after donating. De Pere firefighters and state troopers also stopped by the food drive to show their support. Festival Foods donated bottled water and Schneider National allowed us to use their truck to collect and transport the food to Manna for Life. It was truly a community effort, and NBC26 is incredibly grateful for your outpouring of support! It will allow those in need to rest a little easier by knowing their community is taking care of them when they need it most. From all of us at NBC26, THANK YOU!